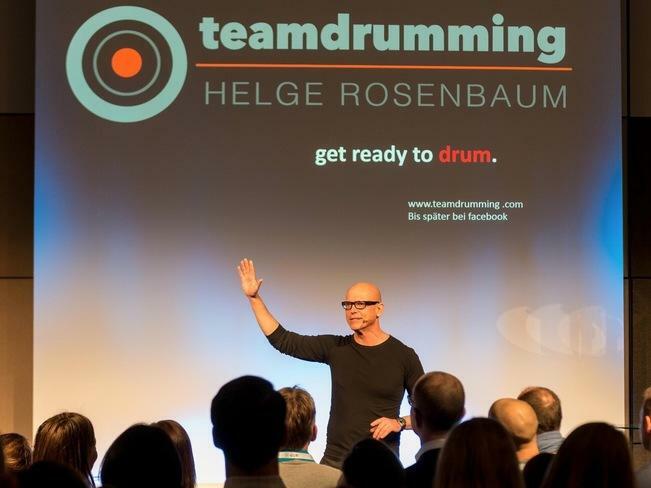 teamdrumming opens up new ways to transfer knowledge through special and fun team events that therefore have a long lasting effect on those who participate. 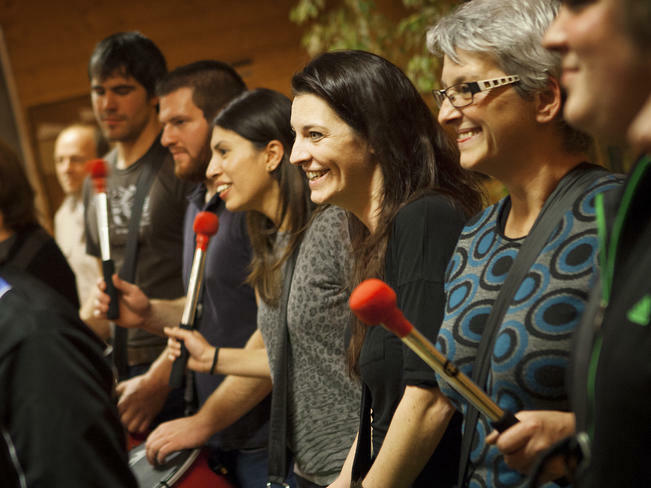 The rhythm of teamdrumming fascinates, inspires and excites people around the globe. Our workshops, events, lectures and trainings for teams and executives are individually tailored to your needs and goals. Whether it's a day workshop, a short "energizer" or a brilliant event finale - we make it possible. Let's talk about your event - we look forward to your call or request! Gain an impression of the effect of the teamdrumming events in moving pictures. 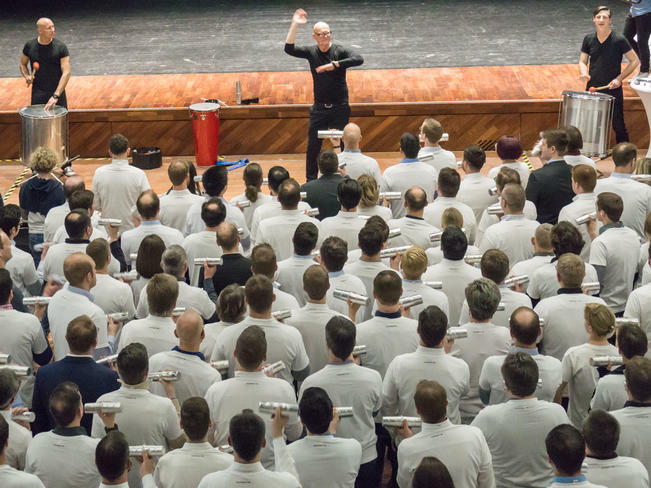 Everthing you need to know about a teamdrumming event.